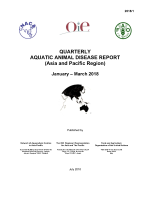 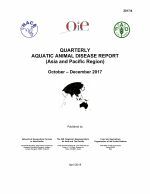 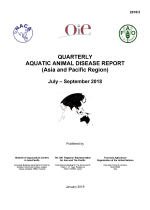 The 77th edition of the Quarterly Aquatic Animal Disease Report contains information from nine governments. The foreword discusses an intensive seven-day training course on tilapia lake virus (TiLV) that was jointly organised by China's National Fisheries Extension Center, Sun Yat-Sen University and the Food and Agriculture Organization of the United Nations. 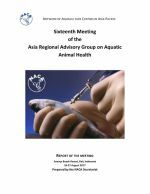 A discussion of the governance issues relevant to culture-based fisheries at local community, provincial and national levels. 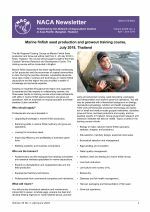 Harmonising culture-based fisheries with other users and uses of water resources.